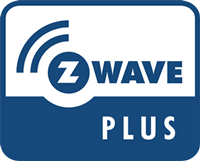 The Ecolink Z-Wave Plus Garage Door Tilt Sensor will install on any garage door quickly and easily and give you status of that door (Open or Close) to your Z-Wave system. ﻿Mounts to your garage door and transmits a Z-Wave signal to your controller when the door starts to angle. Can mount on metal or wood surface. Extremely long battery life with a 5-8 year battery life on 1 CR123A lithium battery included. This sensor does have a terminal input that will let you install a normally closed reed switch which runs in series with the sensor.